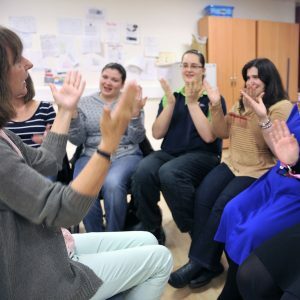 Would you like to learn British Sign Language in a unique and exciting way? Come and join us for an entertaining informal afternoon of sign and song. Imagine putting signs to Queen’s “Bohemian Rhapsody”, songs from musicals and other hits from across the decades. Learn sign language to allow the Deaf and hearing impaired access to the songs. 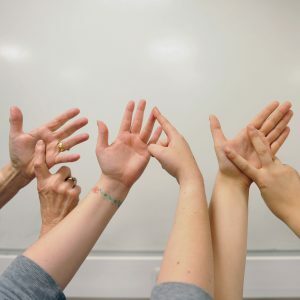 This course will teach you how to communicate with Deaf people in British Sign Language on a range of everyday topics, including animals, colours,hobbies, people, numbers and jobs. There will be an exam at the end of each term, for a total of three units. Your full accreditation will come from ashort presentation, conversation and a receptive assessment. You will be taught through a range of teaching methods such as role-play, demonstrations,presentations, pair/group work, songs, games and quizzes. Enrolment on the BSL Level 1- Introduction is mandatory. This introduction course is part of the full BSL Level 1 course. Why not take this wonderful opportunity to learn British Sign Language? This essential short course gives you and your teacher the ideal opportunity to see if the full course is for you, in terms of content and workload, without the pressure of actual assignments or exams. You will start working towards the first unit, so you cannot enrol straight on the Level 1 course. This qualification will allow you to participate in longer and more varied conversations than at Level 1. The course will develop communication in BSL aboutreal life, routine and daily experiences. You will be able to deal with most routine conversations and will have enough understanding of grammar to copewith some non-routine communication too. 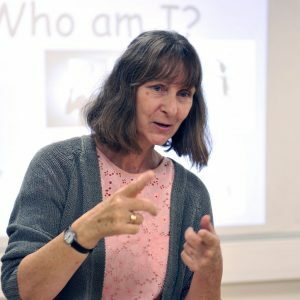 Enrolment on the BSL Level 2 – Introduction is mandatory. This Introduction course is part of the full BSL Level 2. This essential short course gives you and your teacher the ideal opportunity to see if the full course is for you, in terms of content and workload, without the pressure of actual assignments or exams. You will start working towards the first unit, so you cannot enrol straight on the Level 2 course. You must have gained the BSL Level 1 qualification or equivalent to join. Level 3 Award in British Sign Language (BSL) caters for the learning needs of those who already have competence in BSL at Level 2. 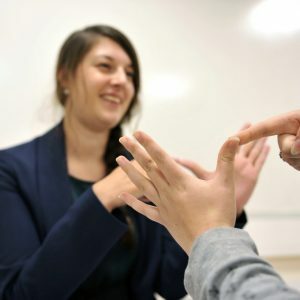 The Award in Signing and Receiving Skills in British Sign Language is designed to develop your ability to communicate in the British Sign Language. The Award is divided into three units: Unit 1 – Signing, Unit 2 – Receiving, and Unit 3 – Conversation. On successful completion of this qualification learners will also become aware of key conventions of British Sign Language and Deaf culture. Advanced conversation class. To join you will be able to confidently hold conversations on a variety of topics. The course will be based on interactive and communicative methods through discussions on a wide range of topics including current affairs, social issues, literature and culture. Second part of the advanced conversation course. Here, you will consolidate your language skills and continue your learning journey in a fun and relaxed way. If you attended Part 1 you are guaranteed a place on this course. If you haven’t, you will have to attend a pre-course interview to ensure your language skills are at the correct level.